Stockings are not premade and are made especially for you after receiving order. 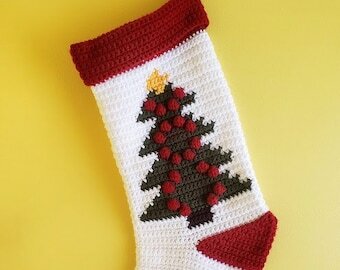 You are purchasing one finished stocking. Other designs available upon special request. Hard to find rare stocking style. 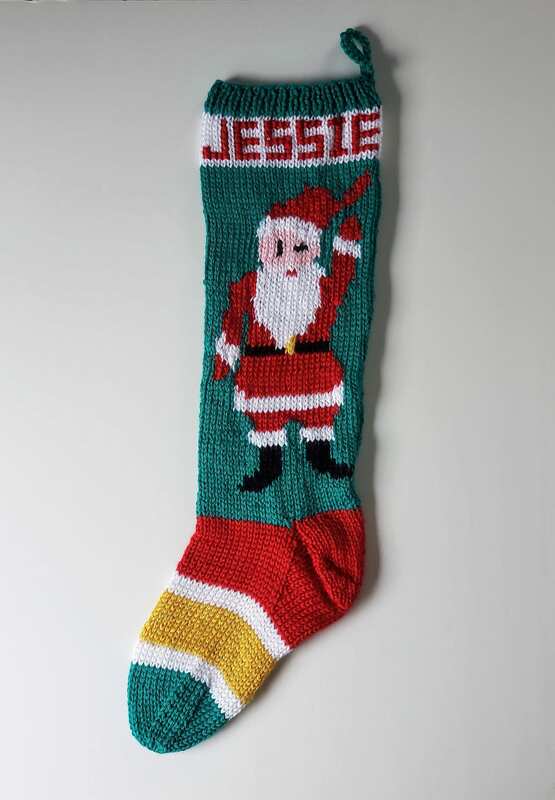 Vintage 1950's / 1960's era knit Christmas stocking that can be personalized with the recipients name. Name is added after stocking is finished. Names with more than 6 or 7 letters will begin to wrap around the sides of the stocking. The stocking features a waving, walking, winking Jolly Santa with Ornaments on the back of the stocking. Diameter of the stocking cuff is approximately 6 inches. Top of cuff to heel is approximately 18 inches. Heel to toe is approximately 9 inches. 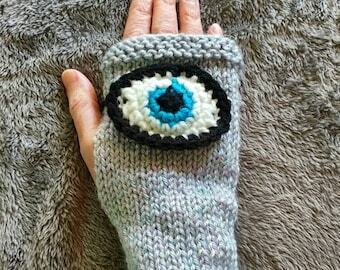 Price is for stocking as sized from the original pattern. If you would like a smaller or larger stocking, I will do my best to accommodate but it will be extremely difficult to match exactly. Message me before purchase with any changes / customization that you want for pricing. Smoke free, Pet free home!